"This is the best cooking class I've ever taken. Very engaging. "Freestyle cooking allows you to use what you have on hand, think creatively and approach what can be a chore with a playful attitude." Welcome to Cooking With Sass! Do you have the basics of whole food plant-based cooking under your belt? Does cooking without recipes intrigue you, or is it something you're interested in but you're not sure how to actually pull it off in your day-to-day life? If so, then you're going to absolutely love Cooking With Sass! because it solves the 6 main challenges most plant-based home cooks face. Cooking With Sass! was created to help you overcome these problems our students encounter on a regular basis. Wasting food that has gone bad before you had a chance to use it! And this just scratches the surface! But fear not. Because we're here to help you move from this place of confusion and overwhelm, to creating seasonal, nutritious and super tasty whole food plant-based meals on-the-fly so you can get in and out of the kitchen (and on with life!). Our next class is coming March 2019! Here's your chance to sign up for our Early Bird list. Thanks and hope to play with you in class. "If you want to feel more confident cooking vegan meals and not be chained to recipes, CWS is the place to go. I like to challenge myself to try new things. CWS is perfect for this! Each week Sassy presents new ideas, tips and techniques then sends me into the kitchen on a mission to create delicious vegan food without relying on recipes"
"Sassy teaches you to create meals without recipes using your unique cooking style. It was so helpful to interact with the other students and learn from them, too. I am definitely a more confident and daring cook now." "You can free yourself from recipes and learn to balance the flavors with whatever you have on hand. Cooking with Sass has given me the confidence to pull together an appealing meal with whatever I have in hand. I no longer have to run to the store to make a recipe." "I enjoyed the videos the most. I liked watching how Sassy combines different ingredients and flavors to come up with a meal. Sassy makes the course fun! She's very helpful, has definitely done her research and is a joy to watch." 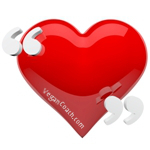 "This is the course you need to take if you are serious about staying plant-based. You learn so much from this class and from your fellow students." Next Class Begins March 2019! Sign up below and we'll send you an email when the doors open with an extra-special deal only for our Early Birds! You're going to LOVE this course! © Copyright 2019 Vegan Coach. All rights reserved.